This Halloween, don’t be haunted by the grocer’s apostrophe. When forming a plural, no apostrophe is needed. 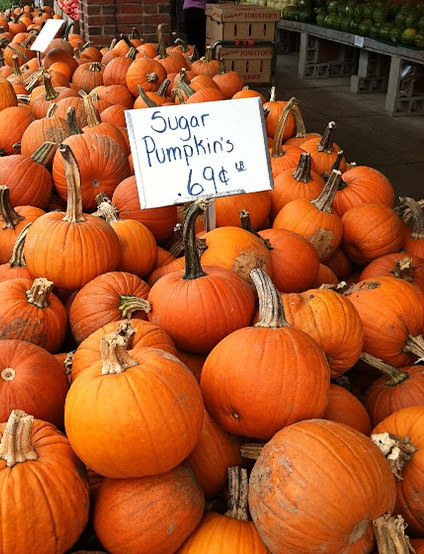 True, but as these are dirt-cheap pumpkins, at just over two-thirds of a cent each, we can cut them some slack. Or teach them not to use a decimal point AND a cent sign together unless they really, really mean it!